Munich, February 4th, 2019 – Keeping media safe is crucial in media production ? be it raw material, final edits or the entire project. 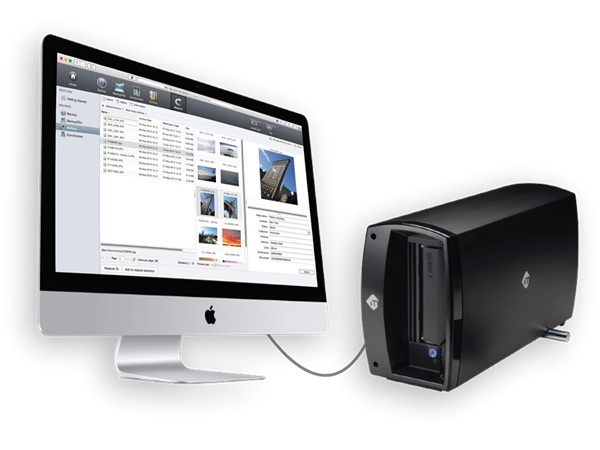 One of the safest media in the market for professional archiving is LTO tape. It delivers outstanding performance at an unmatched price per TB. But quite often, small production teams lack the technical background to work with LTO ? or so they think. The Archiware P5 Desktop Edition helps these teams take the first step towards professional archiving. It includes software licenses for the P5 Archive and P5 Backup modules for use with a single LTO tape drive. Both modules are fully featured, so P5 Archive includes the mini-MAM functionality with a browsable metadata catalogue, proxies and previews. One Archiware customer who employs the P5 Desktop Edition in his daily video production is Director and DOP Anton Nelson (http://www.ahtohcine.com). Nelson safeguards his stunning action and outdoor footage with the help of the P5 Desktop Edition and an mLogic mTape Thunderbolt LTO tape drive.